High intensity cardiovascular activity alone will help you burn calories. Combine that with targeted strength training, and you’re going to burn fat. Schedule a FREE trial class today. Its a non-contact high energy workout that combines moves from different matial arts with music. Get ready to burn calories and take your body to the next level. 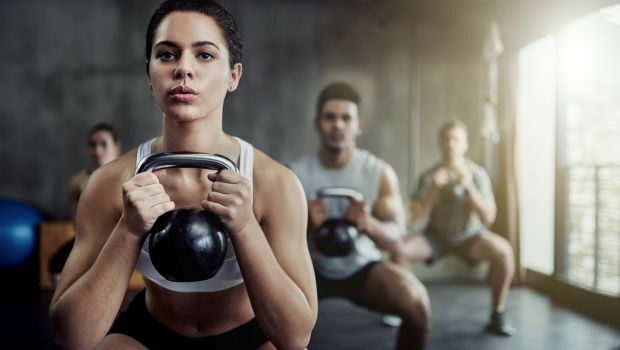 Kettlebell workouts, combine the benefits of dumbbell training with a high intensity cardio workout to help you build muscle, increase power and get lean—all in just a few sessions.